Rich Earth is a luxury concoction of woods and spices that create a tantalizingly warm aroma. With top notes of Amber and Mahogany and bottom notes of Coriander and Sandalwood, this is a fragrance for all candle lovers! 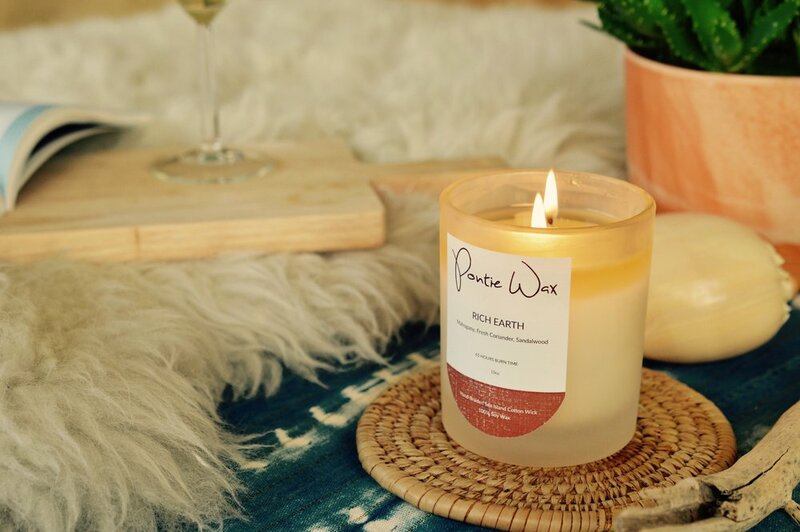 Rich Earth is cast with a hand braided wick, made from 100% Barbados grown Sea Island Cotton, allowing for a longer and cleaner burn. Arguably the world's finest cotton, these silky extra long fibers are perfect to enhance the scent of the candle in any room. These rich and earthy delights are limited edition! Get them HERE while they are still in stock!